FRANKFURT -- New-car sales in Germany rose 9.4 percent to 302,636 in November with Peugeot and Dacia showing strong growth, data from the KBA motor transport authority showed. Peugeot brand's registrations jumped 72 percent, while Dacia sales increased by 53 percent. Mazda with a 30 percent gain, Seat with a 26 percent rise, Kia with 25 percent growth and Citroen with a 20 percent increase were among other mass-market brands that performed strongly. Ford's registrations jumped 17 percent. Sales at Skoda were up 12 percent. Market leader Volkswagen brand failed to keep pace with market growth with sales up 8.2 percent. Low performers included PSA Group's newly acquired Opel brand with a 2.6 percent gain and Renault's brand with 1 percent growth. Among German premium brands, Audi sales rose 12 percent and Mercedes-Benz's volume increased 0.6 percent. Demand at BMW brand dropped 1.6 percent. • Download PDF, above right, for German sales by brand for November and 11 months. Hyundai's sales grew 7.6 percent, while Toyota registrations rose 2.5 percent. Nissan sales dropped 9.6 percent. Through November, German registrations are up 3 percent to 3.2 million vehicles. Diesel sales were hit hard again as sales of new models fell 17 percent for a market share of 34 percent. Sales of gasoline cars jumped 28 percent last month to give them a share of 61.7 percent. 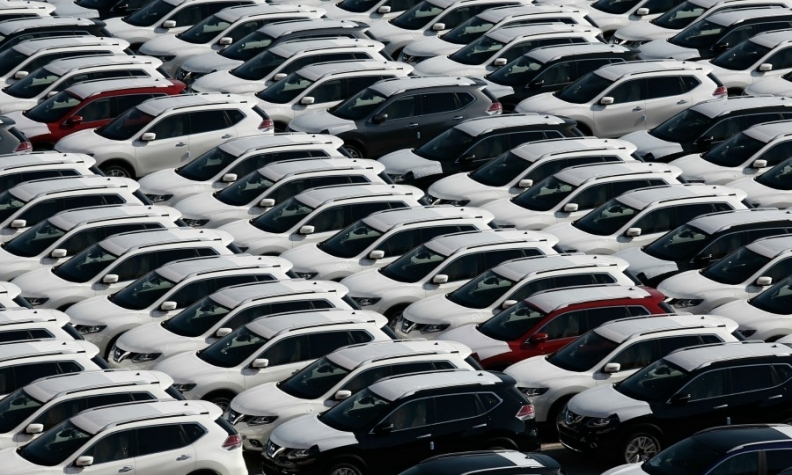 Sales to private customers grew 16 percent last month for a market share of 36.6 percent, while fleet sales were up 6 percent, giving business registrations a 63.3 percent market share.